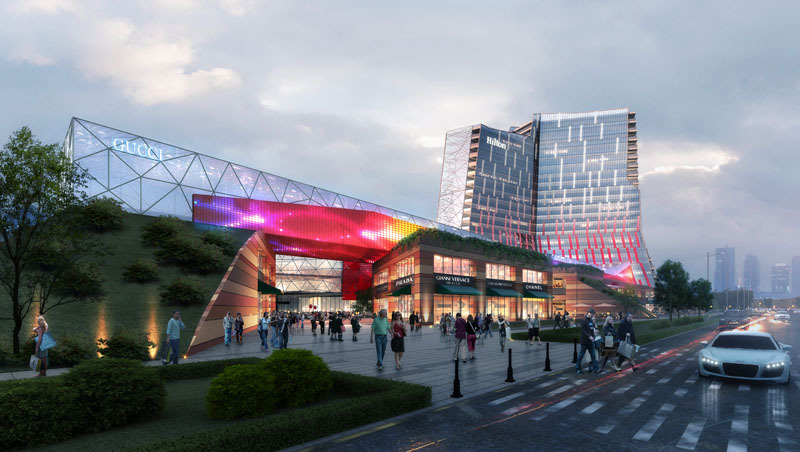 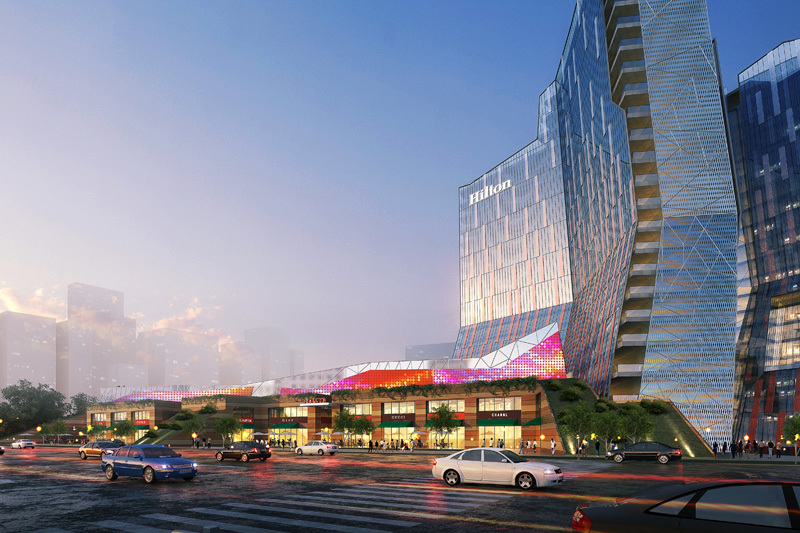 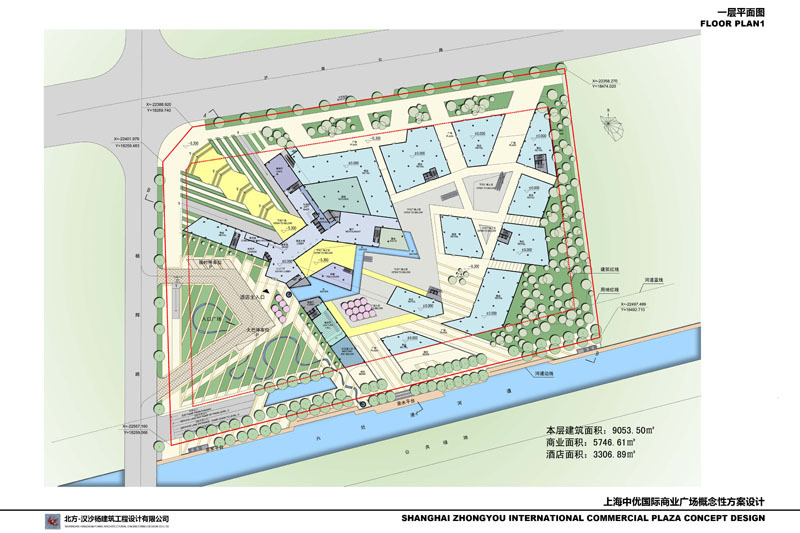 Zhongyou Shanghai was a invitation-only international design competition for a proposed five-star hotel and shopping center in Shanghai, China. 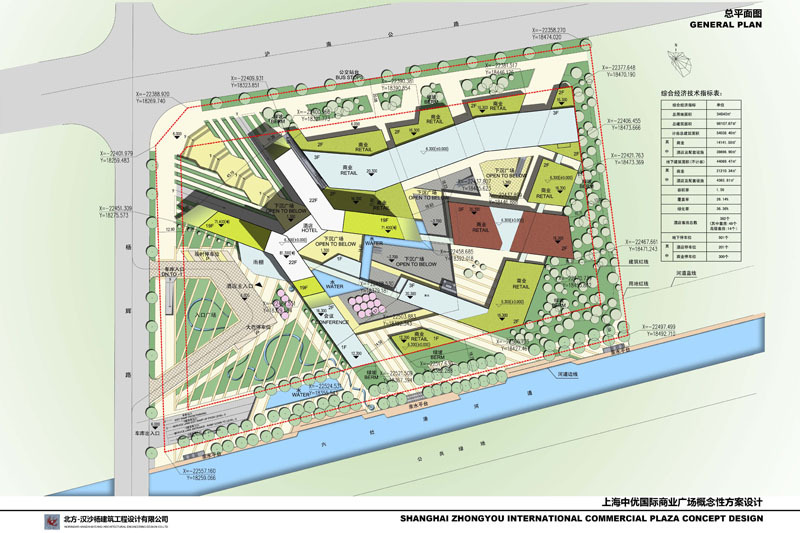 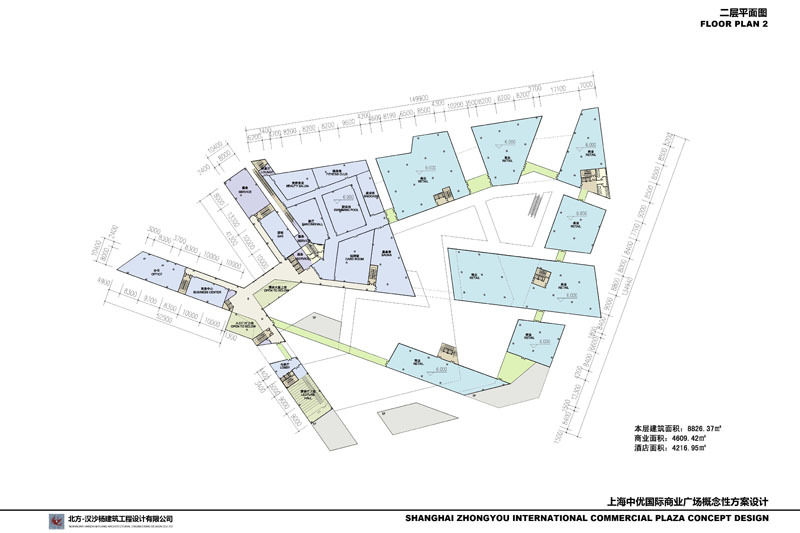 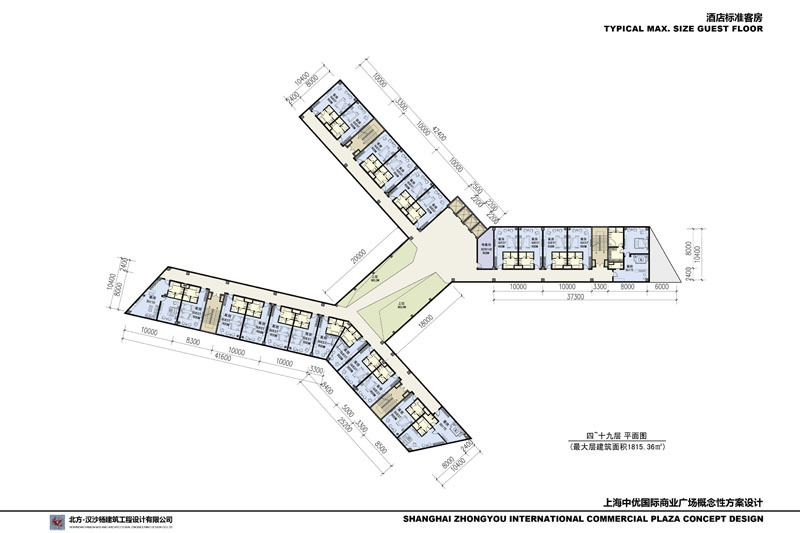 Designed by Hangar 41, LLC, with LLG International , it is located just south of Shanghai’s Pudong district, this site has a direct connection to the historic watertown - Xinchang on the canal to the west. 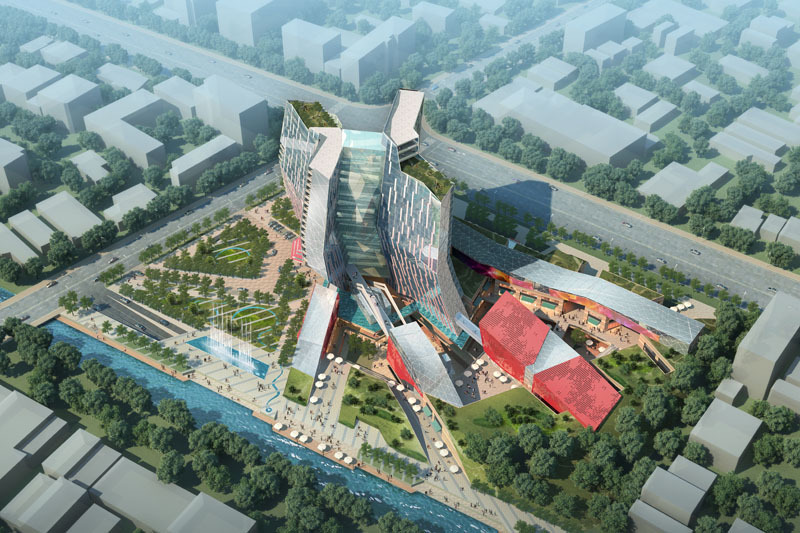 Throughout the project, the circulation paths and site geometry evolved out of the notion of a zigzagging or meandering pathway derived from traditional watertowns’ gardens and pathways. 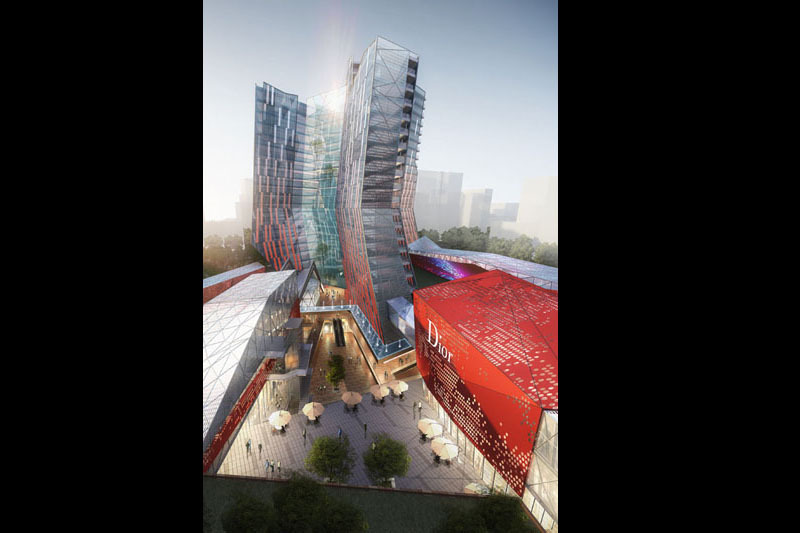 Functionally, the geometry of the main hotel tower is a product of the desire to provide views all around the site from not only the guest rooms but also the lobbies and circulation spaces. 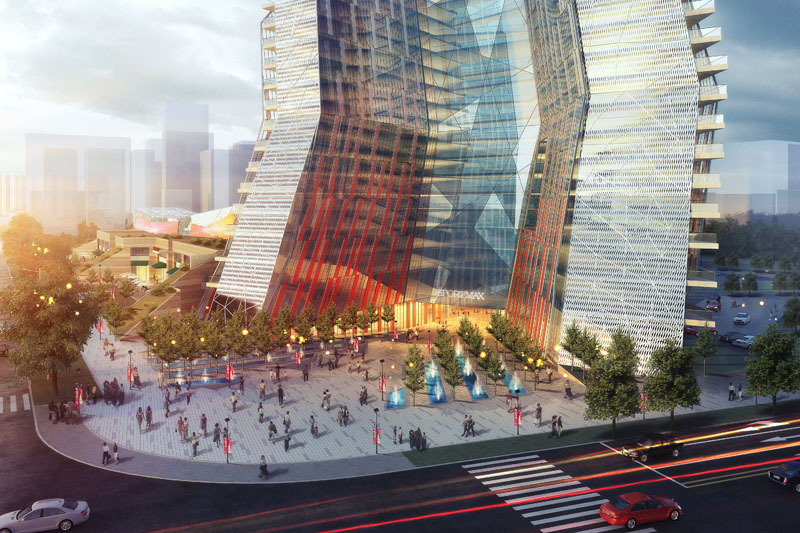 By peeling back the living wings of the building, the internal spaces of the tower can be naturally lit and provide interest and a procession for the guests entering their quarters. 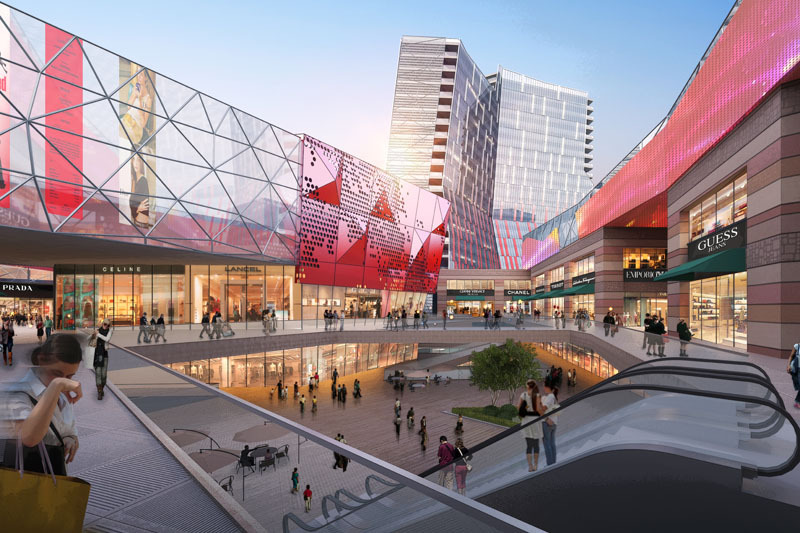 These views showcase the prominent retail spaces below, inviting visitors to explore and shop. 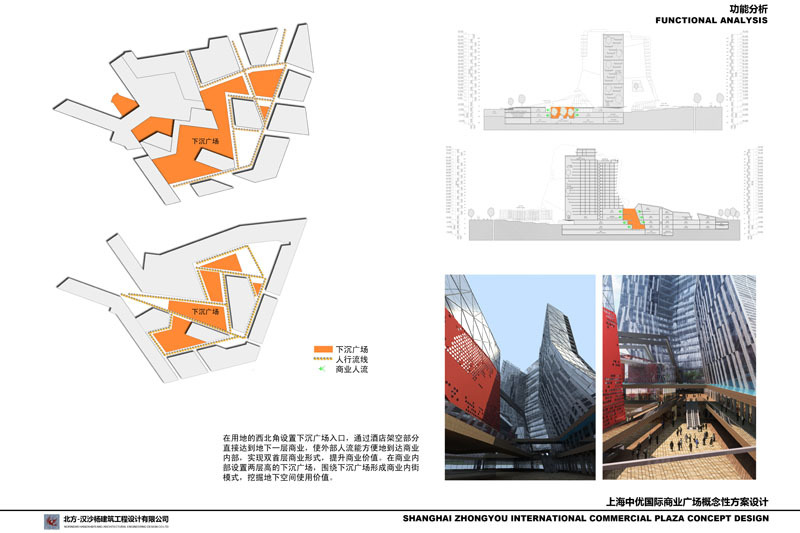 The formal geometry was inspired by the region’s traditional economy of silk and salt production. 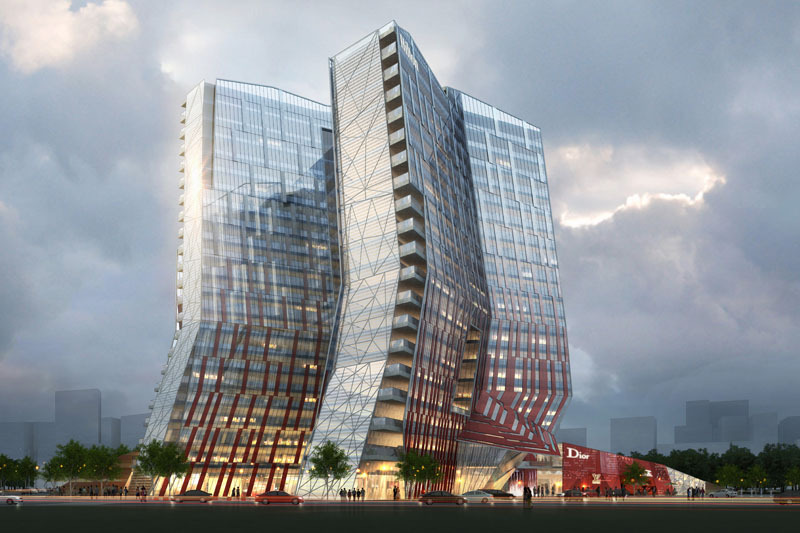 The salt crystal is scalable – from micro to macro it possesses a repeating fractal rectilinear geometry that informed the final geometry of the tower and site layout.